The Port Washington Water District will run a pilot study to treat 1,4-dioxane in three drinking water wells in Christopher Morley Park in Roslyn. The contaminant 1,4-dioxane is a clear liquid that mixes easily in water. It is often used in the manufacturing of other chemicals and has been used as a stabilizer in solvents, paint strippers, greases and wax. The Environmental Protection Agency classifies the chemical as “likely to be carcinogenic to humans” through all routes of exposure. David Brackett, the chairman of the water district’s board, said that while no federal maximum contamination level has been set for 1,4-dioxane, the members of the water district believes it is time to take action. In December, the state’s Drinking Water Quality Council recommended that the state Department of Health adopt a maximum contaminant level of 1 part per billion for 1,4-dioxane. Two of the wells are below what the water district expects the level to be set as, and the third well is slightly above, according to Brackett. He said the third well is used sparingly by the district. The purification technology currently being used on the district’s wells does not treat for 1,4-dioxane. The purification technology that the district will use for 1,4-dioxane is not particularly good at treating any other substance, Brackett said, so the district will see how well both systems run alongside one another. The district will then conduct an onsite test of the water after it is treated to make sure the 1,4-dioxane treatment does not adversely affect the purification process for other contaminants. He said the district tries to stay ahead of the curve and wanted to test the treatment before everyone is scrambling for the treatment system, which is available from a limited number of manufacturers. The Port Washington Water District contracted D&B Engineers and Architects, a New York-based environmental engineering and architectural company, for the work and will pay an amount that is not to exceed $74,100. Brackett said the testing is expected to be conducted in the summer or late spring. He said the water district is currently talking with the county about acquiring the land where the equipment will be placed, as well as the equipment supplier to get the system in place. Christopher Morley Park is also home to a well owned by the Roslyn Water District, Brackett said. 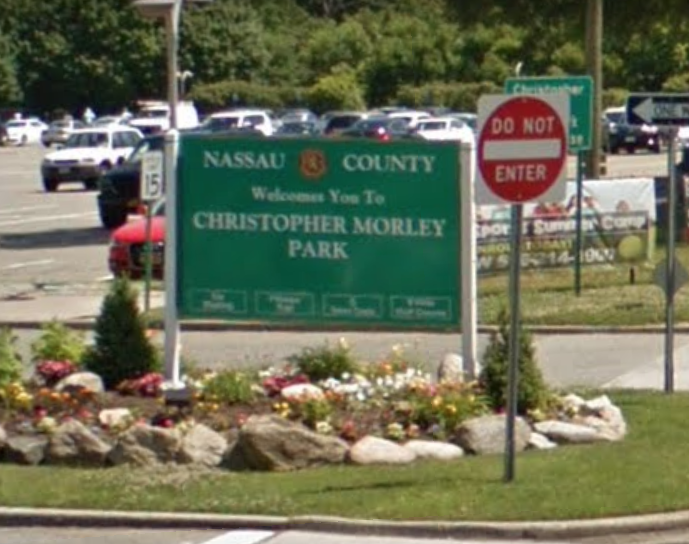 According to the Port Washington Water District’s website, the district drilled two wells in Christopher Morley Park in the late 1960s. The wells were built outside of the Cow Neck Peninsula, where Port Washington is located, to ensure that Port’s drinking supply isn’t affected by saltwater intrusion. The website says the Christopher Morley Park wells now account for two-thirds of the district’s water supply.